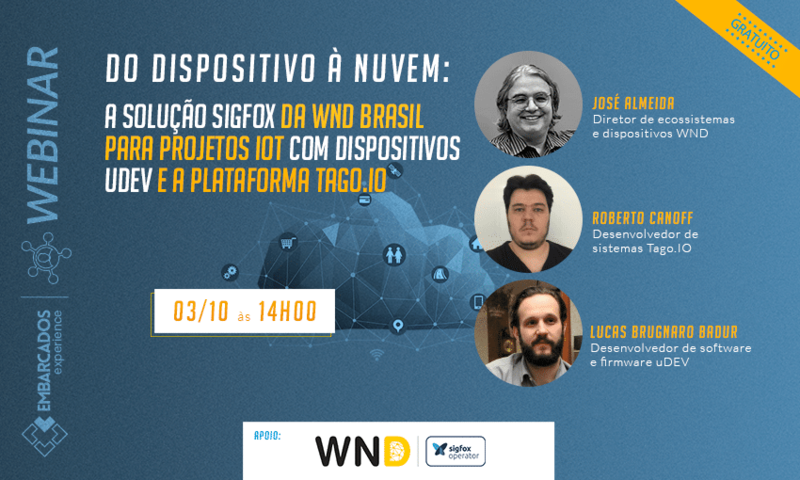 From the device to the cloud: WND Brasil’s Sigfox solution for IoT projects with Udev devices and the TagoIO platform. This webinar will show you how to establish an IoT application from choosing the device and its configuration, connecting it to the network and WND Sigfox cloud to the creation of a Dashboard using services from TagoIO. Note: This event will be in Brazilian Portuguese.